A few years back JWT Intelligence published an interesting report called The Elastic Generation to describe a misunderstood group of Brits in their 50s and 60s that were not getting enough attention from brands. It made complete sense. A combination of increased longevity, financial affluence, and a downright refusal to grow old the way their parents did, singled out this group “as a force to be reckoned with”. But despite these vibrant findings, more than half of the women they polled feel that their age now makes them invisible to society. We’ve cautioned about the dangers of applying broad stereotypes, and the common (and frankly outdated) narrative around aging that assumes those over 50 to be on their way to infirmity. Age no longer dictates how a person lives. Physical capacity, financial circumstances and mindset arguably have far greater influence. And there’s no fixed pattern for how any of us grows older. As a marketer, any trip to LinkedIn these days will likely reveal a newsfeed flooded by trends reports about all things millennials. While that’s well and good, there’s a new power consumer to be found in these ‘Elastic Women.’ Hitachi Capital UK and CEBR research have revealed that those over 50 now account for more than half of consumer spending in the UK, shelling out £376 billion on discretionary items in 2015 and accounting for more than 6% of GDP. Compared to those under 50, the report says, spending among the older age group has grown three times faster over the past decade, driven in part by greater life expectancy and labor market participation. 1. 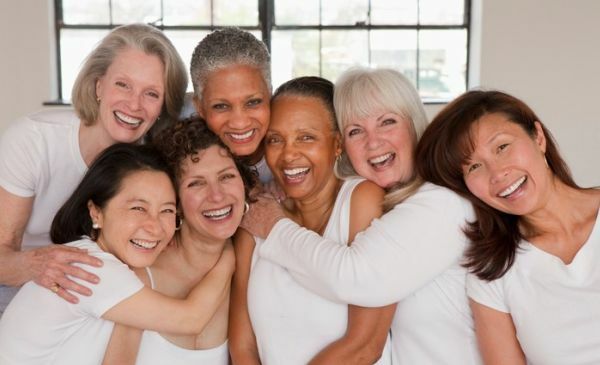 Realize that women over 50 are critically important customers. Instead of playing down to them, tailor your experience to what they actually want and how they want to be treated. 2. Don’t assume women over 50 are married or wish they were. Instead, focus on empowerment and independence, making it easy to enjoy brand experiences solo without excessive penalties for going alone. 4. Don’t be afraid to tackle wellness taboos by having real, honest conversations. There’s significant untapped potential to address things like menopause, sexuality, and a growing number of older mothers who, through techniques like IVF, egg donation and egg freezing, can have children into their 40s. 5. Being healthy and fit is a top priority for this group, so leisure and fitness brands should do more to include them. Sport England launched a campaign called This Girl Can to tackle age and difficult life situations. Humana supports the National Senior Games in the US, and Gap’s Athelta brand thinks carefully about the needs of older women, designing for bodies of all types and vowing not to photoshop any of their models. 6. Look at your workforce. Many women want to continue to work well into their 70s or return to work after taking some time to raise their children. O2’s Career Returners program was launched in 2016 is a mentorship and training program for workers that want to restart their career after a gap of two or more years. This is a model for many brands to follow where both sides win bringing different ages together.